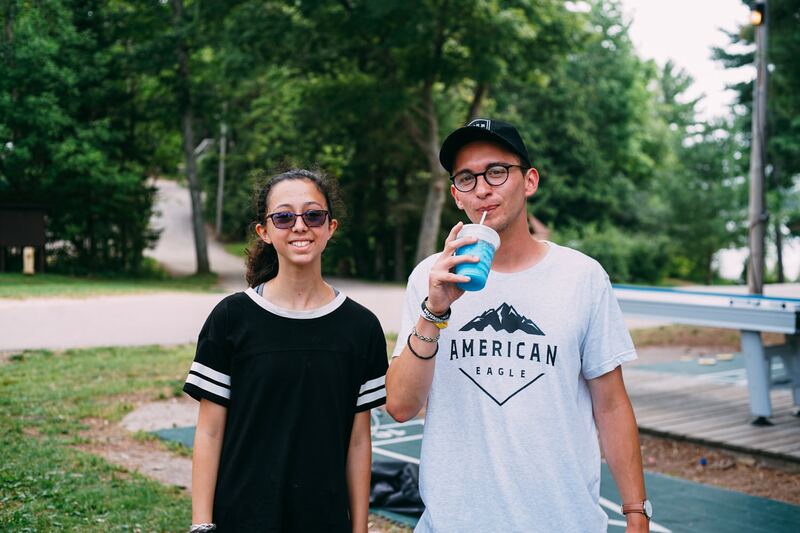 I left each of my children with their respective counsellors at Muskoka Woods. The youngest scowled. The oldest shed a couple of tears and my sweet daughter broke down because she didn’t want to be left at summer camp. As a work at home mom and a family that often gets to travel together, my kids haven’t spent a lot of time away from mom and dad. 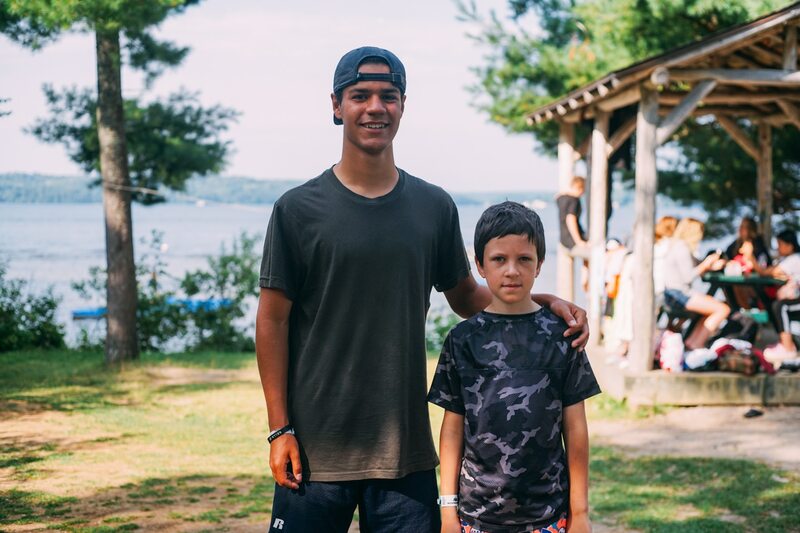 I love that I am their safe space, but I also know how important it is for them to spread their wings a little, and I couldn’t think of a better place to do it than Muskoka Woods – a summer camp where they would make friends, try new activities and develop a little independence. 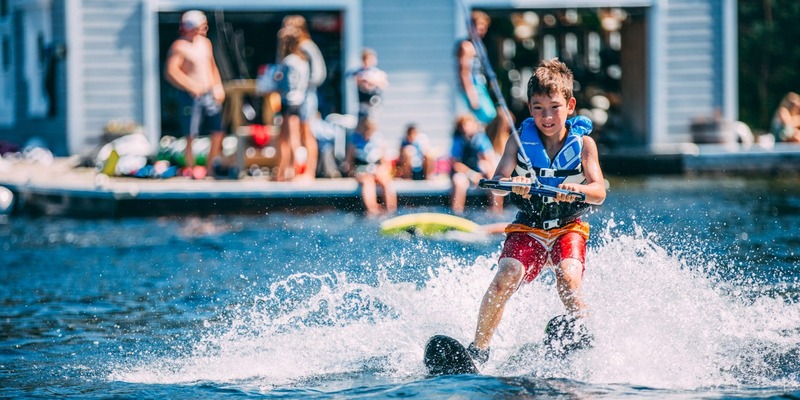 Muskoka Woods offers an unparalleled summer camp experience with more than 50 activities, a roster of highly-trained staff and programming that helps campers walk-away with a multitude of life skills and emotional growth. The bunks are equipped with thick foam mattresses and indoor washrooms. Activities include everything from cheerleading to kayaking, digital photography to BMXing, and marksmanship to archery. Their facilities include a massive water slide, a swim beach, a boat house and all kinds of sports activities. The teens and I were given a whirlwind tour that took us through the areas and activities that my kids would be privy to, but also the CEO Leadership section of the camp that is dedicated to 15 – 17 year olds. Here they develop leadership skills and take part in extraordinary activities like being part of a pit crew on an actual race car. 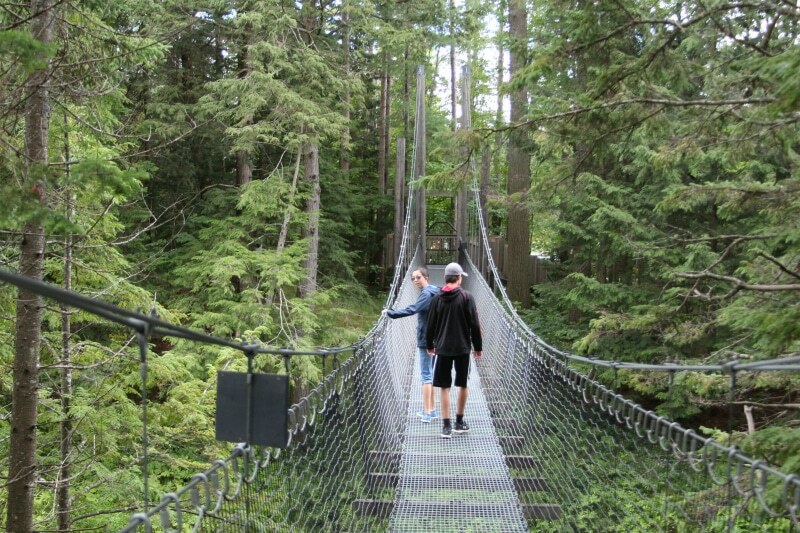 We took a little walk across the Leadership Studio suspension bridge before heading back for the welcome party called Super Saturday. This was an event filled with choreographed dances, team building exercises and a barbeque for the entire family. At the close of the party, we said our goodbyes. Despite knowing I was doing something positive for the kids, I still felt anxious. One of the counsellors checked in on them for me and responded with a positive note, leaving me a little more relaxed for the long drive home. Rather than sending letters that may not get to camp on time, Muskoka Woods allows you to send emails to the campers. I also invited other family members to send emails, ensuring that my children had a lot of reassurance through the week. We didn’t receive anything back so I assumed the kids must not have been able to respond. I also didn’t receive any phone calls requesting to come home early (something they had all told me they would be doing), and I wondered if that meant they hadn’t been given access to a phone. The only way I could see what was going on through the week was through each child’s store account. I could add money and see what they purchased each day. If the amount of money they spent on bracelets, junk food and fidget spinners was any indication of their level of fun, they were all having a fantastic time. When pick up day arrived, I found my daughter, Avery, leaving the dining hall wearing a Muskoka Woods t-shirt that was covered in writing and signatures. She gave me a big smile and a quick hug before telling me she would meet me at her cabin after I found her brothers. I continued towards the Senior High cabin and found Kellen walking to the dining hall. He was on his way for breakfast so I joined him in the line for the meal. He looked uncomfortable and told me he wasn’t hungry, which is very out of character for him. Then I realized the problem; he didn’t want his mother going into the dining hall with him. I offered to go get the other two kids and meet him at his cabin after he ate, and he quickly agreed. My daughter was all smiles and chatting with her friends when I returned to her cabin. She introduced me to a couple of girls and assured me she had the contact information she needed from her friends. Her counsellor told me that Avery had taken a little time to feel comfortable, but she eventually settled in and had a fabulous time at camp. Avery and I then made our way over to Griffin’s cabin. He was standing on the porch looking in the opposite direction of us so we surprised him when we stepped in front of him. He declined a hello hug from mom, gave some goodbye fist bumps to friends and counsellors and we left to load up the car before going to find Kellen. On our way to the Senior High boys’ cabin, Kellen and some friends came bounding down the hill and into the room. He grabbed his stuff, said his goodbyes and we left. Before we got too far, we ran into his counsellor, Luke, who was with the rest of the cabin. Luke gave Kel a goodbye hug that Kellen returned. That is no small feat for my teenage boy! I knew he must have developed a bond with Luke. A downpour ensued, so Avery and Griffin ran to the Camp Store while Kellen and I headed to the car. We were soaked to the skin by the time we got there, but he was enjoying telling me about his week in these few moments alone. He loved archery the most, but also enjoyed marksmanship and golf. His sister and he took golf at the same time so he got to see the progress she made throughout the week and was quick to tell me about it. The tennis instructor was a history buff like Kellen, so those lessons were especially enjoyable for him. We picked up the other kids and I tried to stop them from talking over one another while they shared their camp experiences with me. Avery developed a love for kayaking at camp, which warms my heart since I also enjoy this activity and generally do it alone. She managed to hit a golf ball 100 yards, which is a new distance for her, and our tennis games will now involve the rules that she learned. In arts and crafts she made bracelets which she was proudly wearing, along with the ones she purchased. Griffin’s favourite activity of the week was pickleball. None of us had played before and he was the only one willing to try it. Now we need pickleball paddles and balls and he will teach all of us how to play! He liked the swim beach and leisure sports where he sometimes saw Kellen. Next, I asked the kids the big question: how was the food? My boys are typically very picky and hard to please, while my daughter is a bit of a foodie with a more refined pallet. Surprisingly, the boys said the food was great! My daughter didn’t give it quite as high praise, but she definitely didn’t starve! I had intentionally left his phone at home because I wanted to hear about his week. I can’t tell you how much I loved hearing this. Avery experiences a lot of anxiety and new situations can be difficult for her. I have sent her to camp before and while she enjoyed it, she wasn’t sure if she would want to return. I love that she already knows that she wants to go back. Griffin thinks he may also want to return, while Kellen enjoyed it but would rather be at home. I was so concerned about making them feel better than it never occurred to me that my abundance of emails was annoying to them! He could have responded if he wanted to, but had to go to the office to do that and apparently none of them were interested in doing so. I guess no one had anything they desperately need to tell/ask me while they were at camp, and that is a good thing! I feel like any confident, outgoing, athletic kid will excel when away at summer camp. But the quality camps can take introverts who are still looking for their “thing” and help them thrive in an unfamiliar setting. Muskoka Woods did this in spades through engaging and interactive programs that inspired confidence, creativity and passion – motivating my kids to step out of their comfort zones and realize their potential. I hope that my kids will have the opportunity to experience it again in the future. Isn’t it funny how kids never want to go but once they do, they’re glad that they did. I remember being like that when it came time for camp. I dreaded going but once I was there I had a blast and made new friends in the process. An experience every child should get to have! Thank you for this. 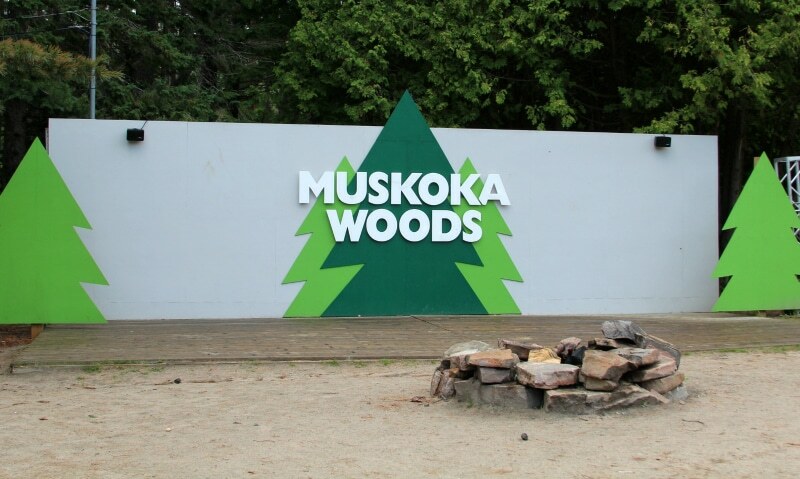 Muskoka woods is not that far down the road and I have not taken my kids to “camp” yet. I think it would do them some good.